This hunting destinations register is an initiative by the SA Hunters and Game Conservation Association (SAHGCA). It is open to all as a service to the hunting community at large. The compilation of this database is aimed at promoting the sharing of information and creating easier access to South Africa's numerous hunting destinations. 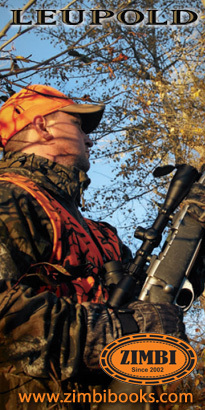 By filling in the fields of your particular choice in your search for a specific hunt, you will be given access to those hunting destinations that fall within the requirements of your personal preference in an easy and realistic manner. It is easy- simply follow the links and specify your requirements. Listings of hunting destinations in this register (database) is free of charge and open to all members of the public. SA Hunters appeals to all the owners of Hunting Destinations in South Africa, whether catering for furred or feathered game, to support this initiative by registering your destination on this site. Simply follow the links and tick the boxes that contain the specific services and particulars of the hunt(s) you present on your game ranch. For adding a destination, you can Click here to Log in or to Register an Account. No registration is required for searching destinations. Simply select the 'Destination Search' or 'Browse by Province' options form the menu on the left hand side of this page. Please also read the Disclaimer.